This post has almost no informational content to speak of. It’s just that a friend of a friend posted this picture of a wonderful zombie themed gingerbread house on Facebook, and I felt it absolutely needed to be shared. It also makes me glad I’m not the only person to combine gingerbread with zombies on Christmas. Image used with permission. Such things in life make me happy. 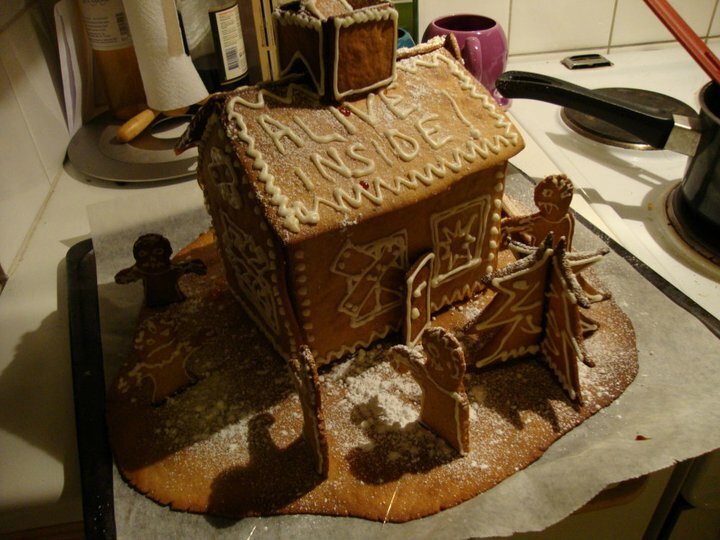 My sister in law is Norvegian, so I must say…gingerbread FTW!!!! Ours is mostly rubble now, but it used to look like an adobe house, going for some diversity ye know.